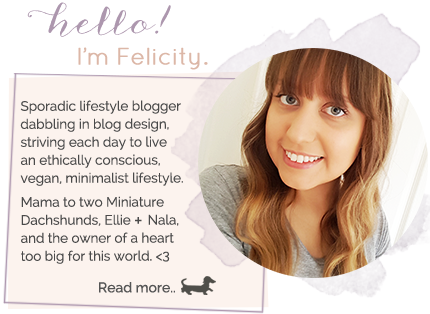 Pursuit of Felicity: DIY Blog Design: Replace 'Home', 'Older' + 'Newer' links. DIY Blog Design: Replace 'Home', 'Older' + 'Newer' links. Upload these images to photobucket (or some other image hosting site) and grab the direct image URLs. Paste these image URLs into a word document as you will need them again in a minute. In Blogger, go to your 'Template' page and click on the button that says 'Edit HTML'. Place your cursor anywhere in the code and then use the 'CTRL + F' command on your keyboard to bring up the search option. Click the 'Preview template' button and if you like what you see then click 'Save template'. All done! If you're interested in learning some more DIY blog design tips you can check out my previous posts on this topic here. Please let me know in the comments below if there is anything else you would like me to do a tutorial on and I will do my best to help you guys out. Cheers! I'm going to put this on my to-do list, I'll let you know how I go with it! Good on you for sharing some of your knowledge!